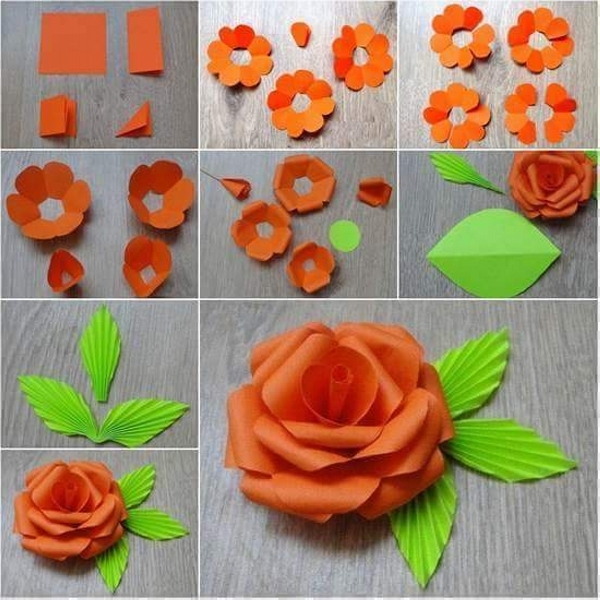 In this DIY article we are going to work on several common paper flower projects. 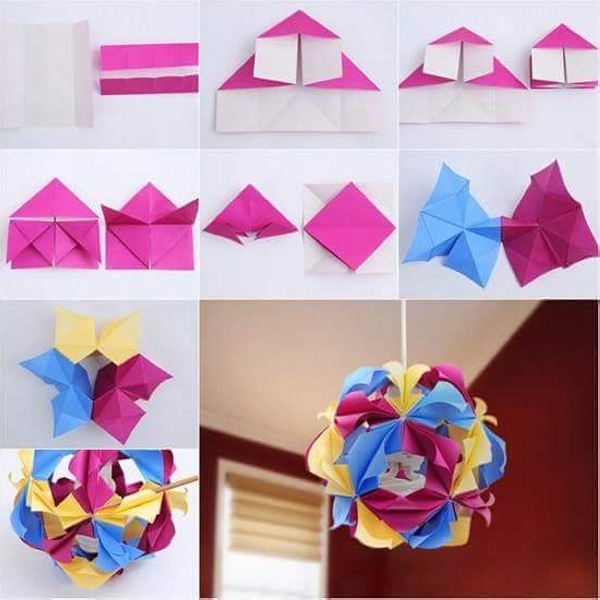 They are just so easy and simple to make. 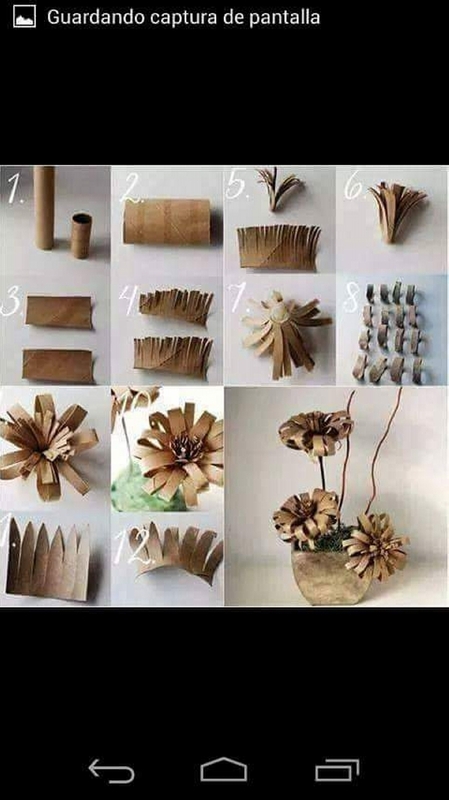 All you have to do is to arrange for some raw pages or some cardboard pieces or whatever suits you. 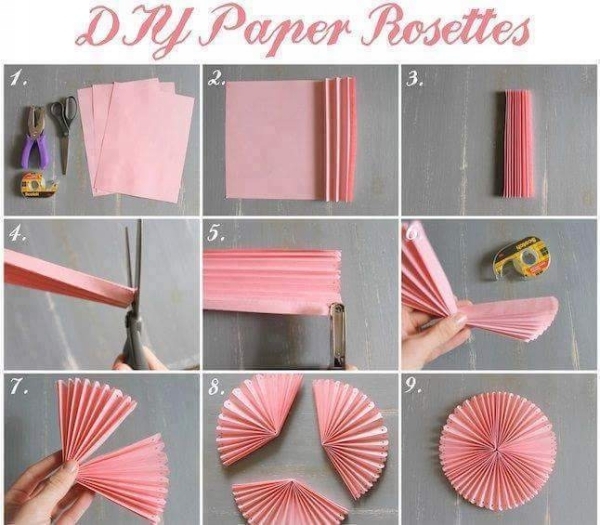 And the moment you are done, you would be having numerous splendid paper flowers that you can use on various places like gluing them on your wall or on a gift paper or some other way. 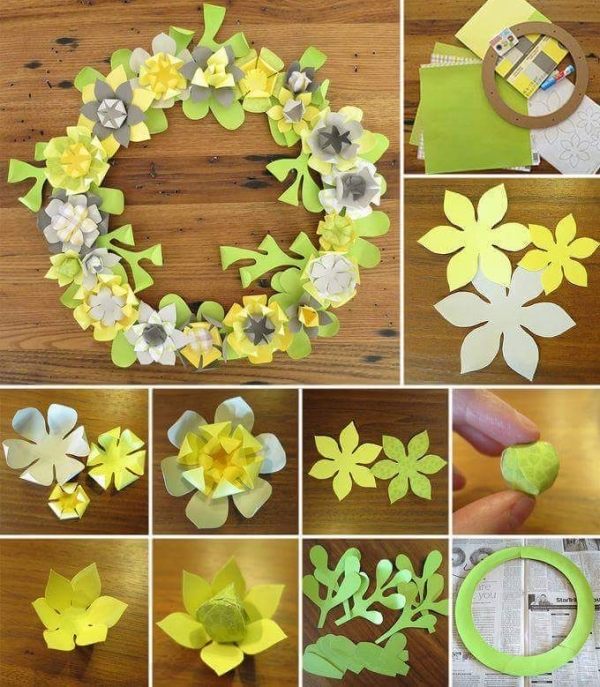 They do not cost much as they are made from raw and used papers, so try out these diy paper flower projects. 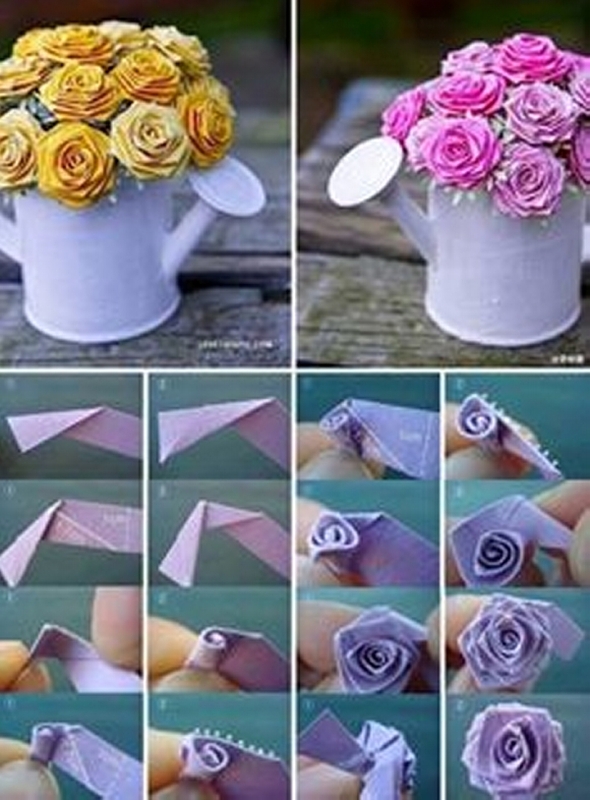 Like here in the very first project where we are going to make ribbon shaped flowers along with artificial stems. So you need a rectangular shaped cardboard paper. Cut it with equal intervals starting from one end till the other end, but don’t cut all along from the other side, just in the way that the end remains intact. After cutting, start rolling back each individual layer as shown in the picture, and now cross the artificial stem which could be any solid stick suitably plastic one, now glue up the remaining intact straight line on the cutting edges, place the stick on one corner and start rolling it back. 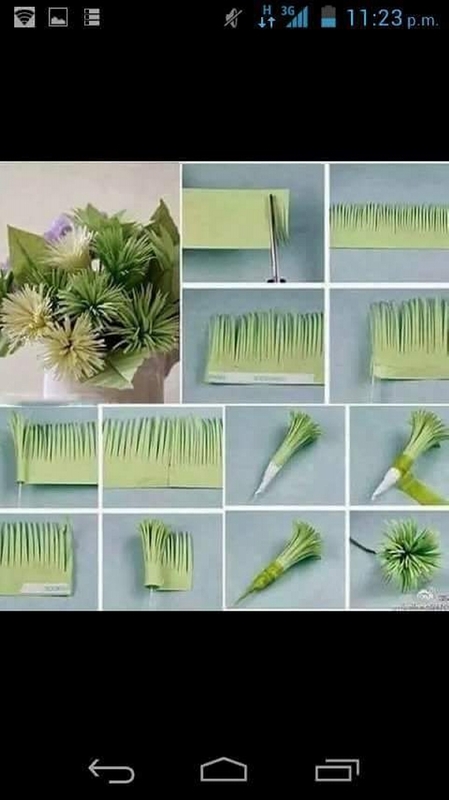 And your paper flower is ready to be used. 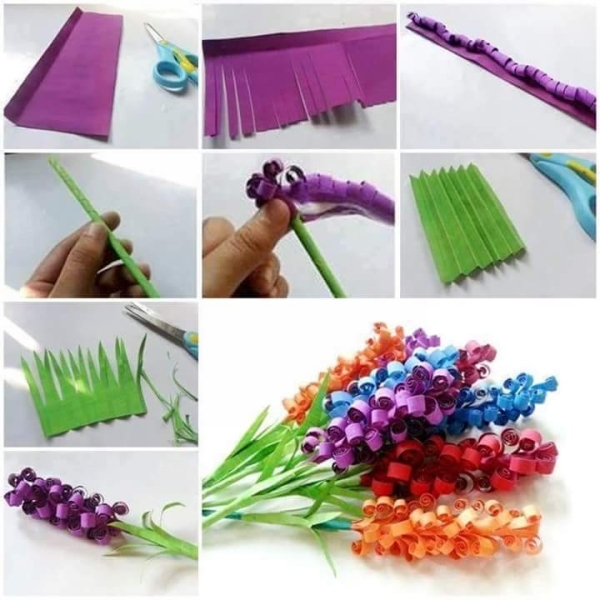 Here we are all set to make some special DIY paper flowers which would be used in the vase or an artificial garden shower. We are going to make some roses. So here we go. 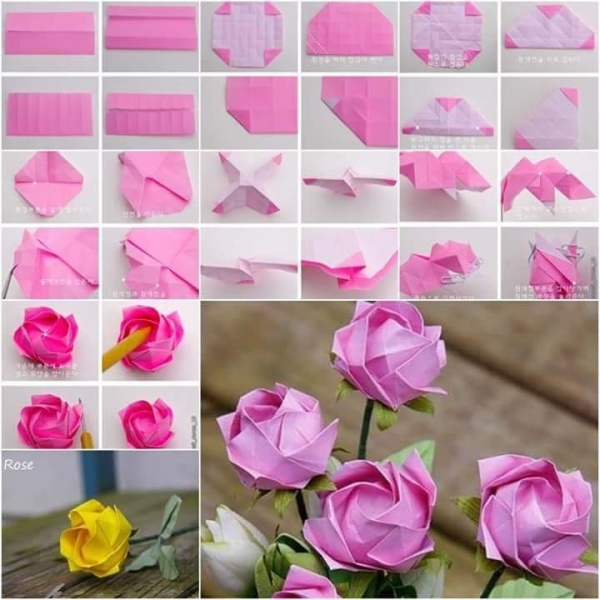 Take a long and slim cardboard piece, turn it inward holding from middle of the one side, keep turning in the same pattern, and you would end up making the heart of the rose. 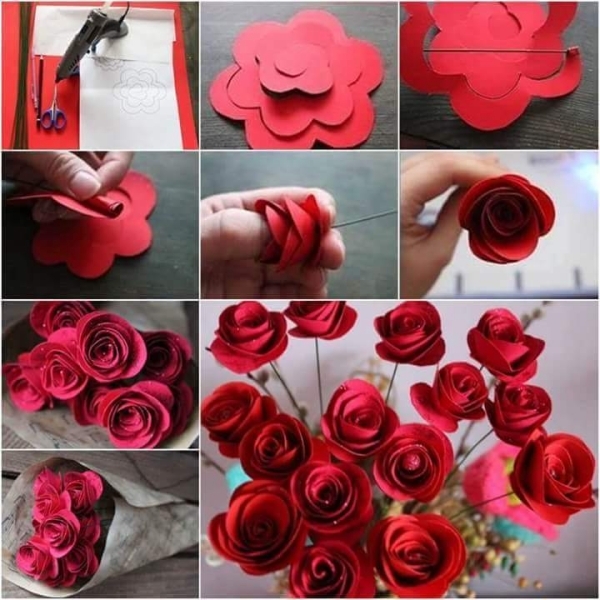 Now where the first strip ends, attach another similar crepe paper strip and keep turning inward, glue up where necessary to keep intact, and you would end up making a rose. 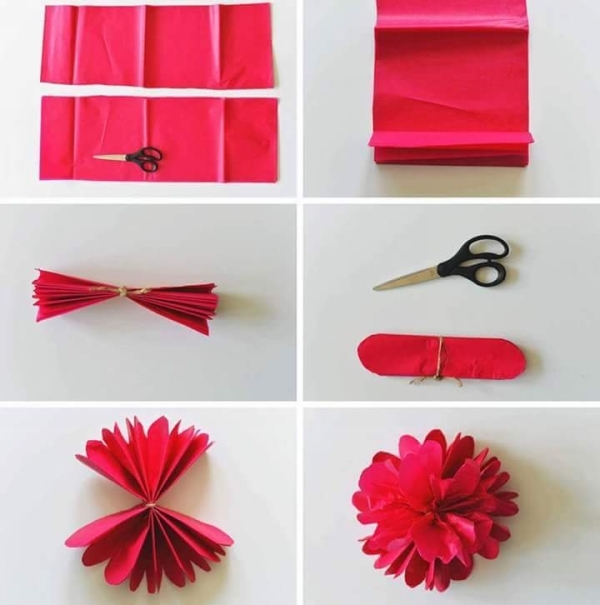 Here in this DIY flower plan, you have to connect a number of petals, so we would basically learn how to make an individual petal in order to make a big round bunch of petals. Take a small square paper. 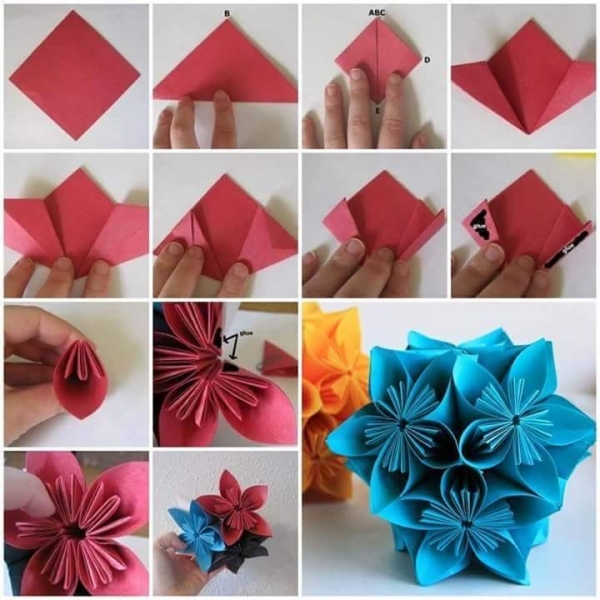 Fold it in half, now each side be folded in half, now turning each corner inward, in a triangular shape, turn half and pop up the triangle. In the same way pop out the lower paper inward folding the line in half. 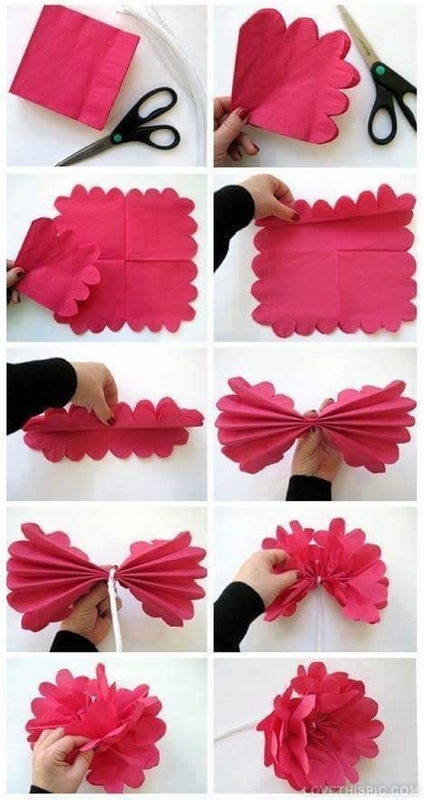 You would end up making a squeezed up petal shaped paper, expand each corner and here is your petal, following the same pattern make a bunch and glue them up to join with each other. 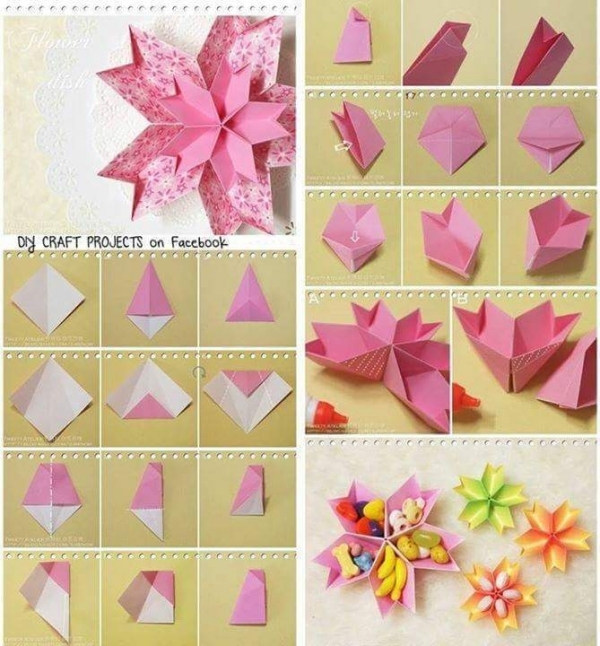 Here again you need to make a bunch of petals to make the heart of the flower and rest of the body as well. 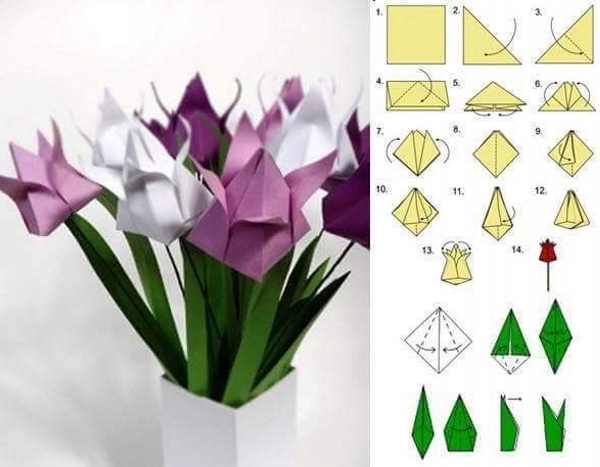 Take a square paper, fold it inward in a way that both the corners meet each other. Now turn inward making the both ends meet turn it back over, you have a three cornered paper, turn both the ending corners inward making a triangle and pop up, cut the triangles from upward leaving the lower portion open. 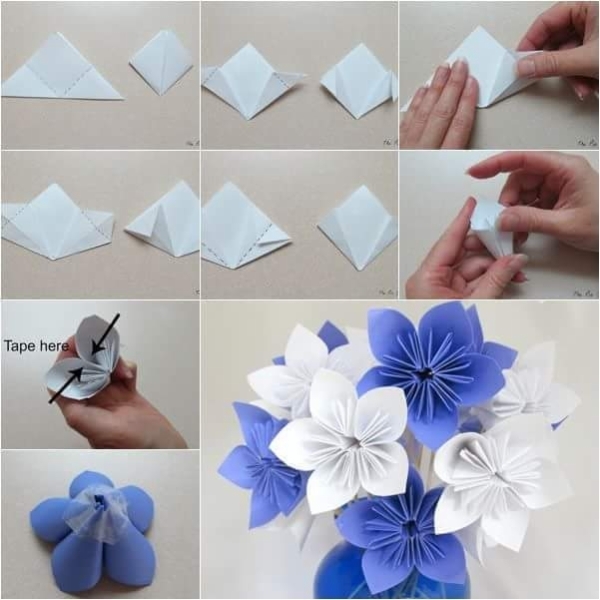 Now twist the paper inward again making it look like a circular petal, glue the both ends to keep them intact, now start separating each folded layer of the paper. 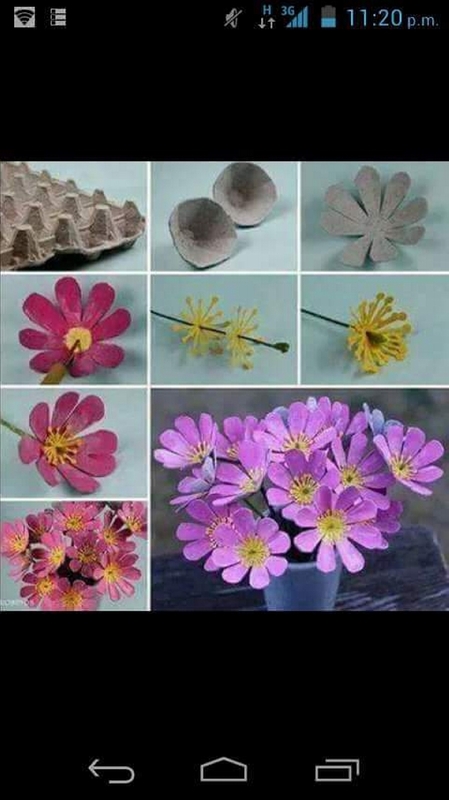 Make a bunch of such petalos and join them together. 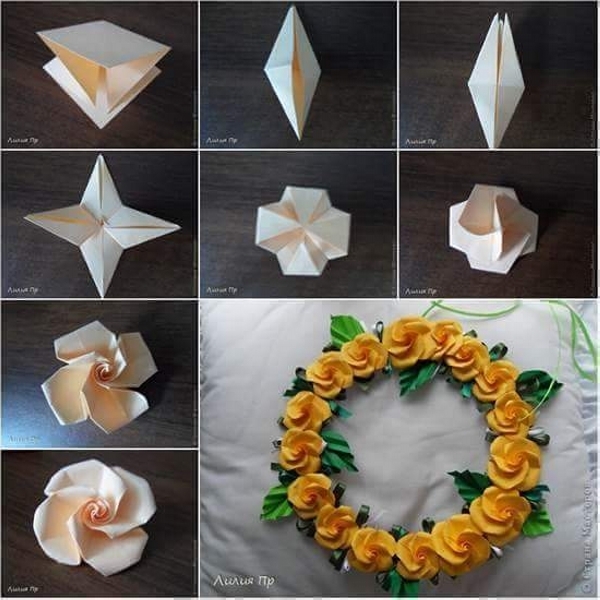 In the ending paper flower DIY project, once again take a square piece of paper. Make both the corners meet at ends, now turn the opening triangles inward making it look like a squeezed up square, now grab a little corner of the turned triangle, roll it back inward on both ends, and fold them back to the other side or opposite side, push a little bit inward to open up the face, glue up two similar petals together, following the same pattern make a flower of four petals joined together. 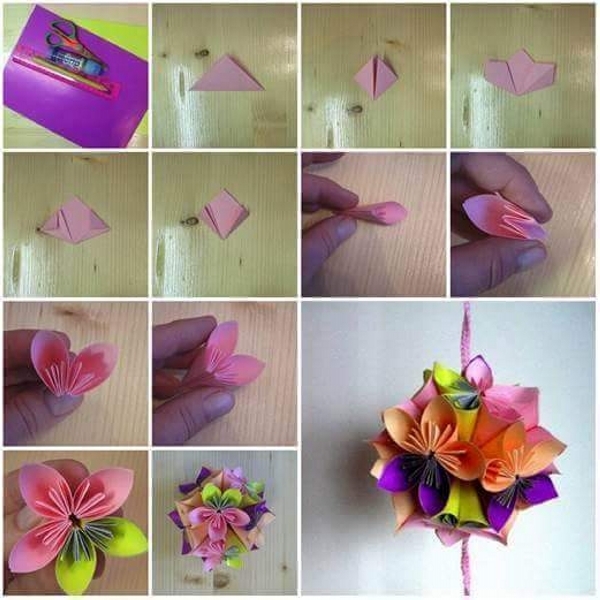 Hope you enjoyed this DIY paper flower project.